A Stunning Smile . . .
Is an asset that few are born with . . . But once attained can make such a profound difference in ones life. Even those with the most beautiful smiles, if left to Mother Nature, will eventually see their smile fade & deteriorate losing it's youthful luster, brightness & sparkle . . . If you have noticed things . . . about your smile that you would like to change, call now (239) 694-6161 and ask for your Complimentary Smile MakeOver Sneak Preview (tm). 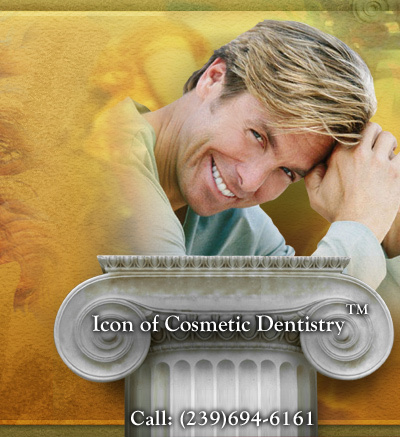 Cosmetic Dentist* Dr Ron Drachenberg, serving Fort Myers, Cape Coral, Naples & all of SW Florida, can make your smile a Masterpiece that can last for a lifetime . . .